Sarah is a passionate musician who is dedicated to supporting young people develop and grow as musicians. She has been running youth music projects for the last 7 years and enjoys providing opportunities for young people to be creative, expressive and active members of their community through music. 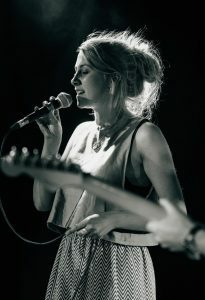 As a singer/songwriter, Sarah has played with a number of bands and enjoys performing regularly.